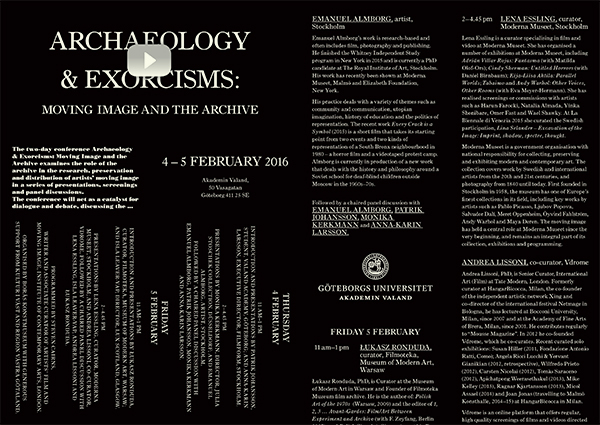 Identity, leaflet and booklet design for two day conference: Archaeology & Exorcisms: Moving Image and the Archive. 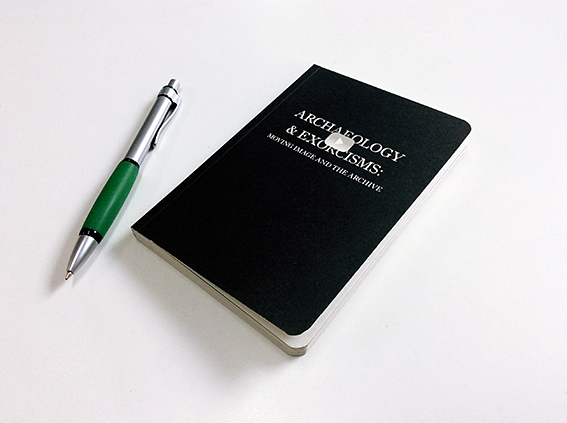 The two-day conference Archaeology & Exorcisms: Moving Image and the Archive examines the role of the archive in the research, preservation and distribution of artists’ moving image in a series of presentations, screenings and panel discussions. The conference will act as a catalyst for dialogue and debate, discussing the importance of preservation and its relationship to archives and historical narratives, while highlighting the relationship between history, the archive and artist moving image practice. Speakers from an international cross-section of related fields including, public and private collections, distributors, as well as artists, will reflect on their roles within the wider network of the artists’ moving image community. Each speaker will also screen a short programme alongside their presentation; highlighting significant works in relation to the practices and approaches they represent. Concluding each day panel discussions will draw together speakers to discuss the interrelated role of the archive as a resource for audiences, researchers and artists.